The 30th Annual Palm Beach International Boat Show gets underway next week, March 26, 2015 for a four day run along the waterfront at Flagler Drive in West Palm Beach, Florida. While boats from 8-foot inflatable dinghies to yachts exceeding 150 feet will be on display, the new Viking 52 Sport Tower is sure to garner plenty of attention. 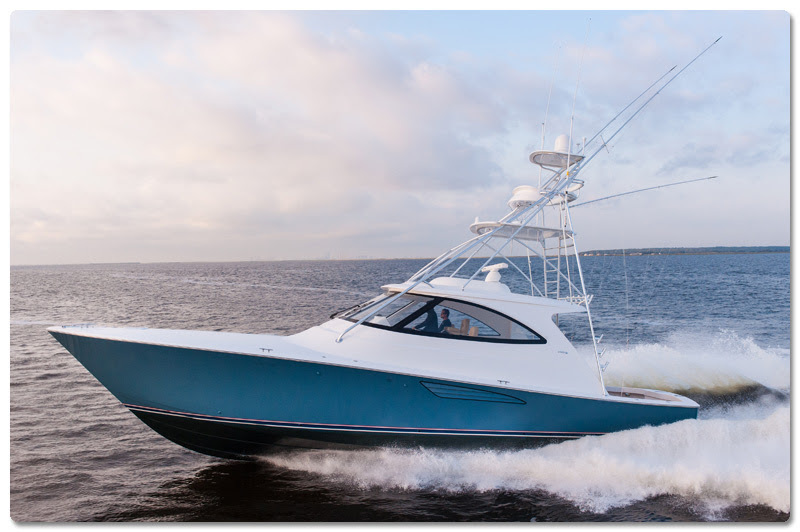 Introduced at the Fort Lauderdale International Boat this past October, the 52 Sport Tower is a new model for 2015 and demonstrates Viking’s relentless commitment to excellence. 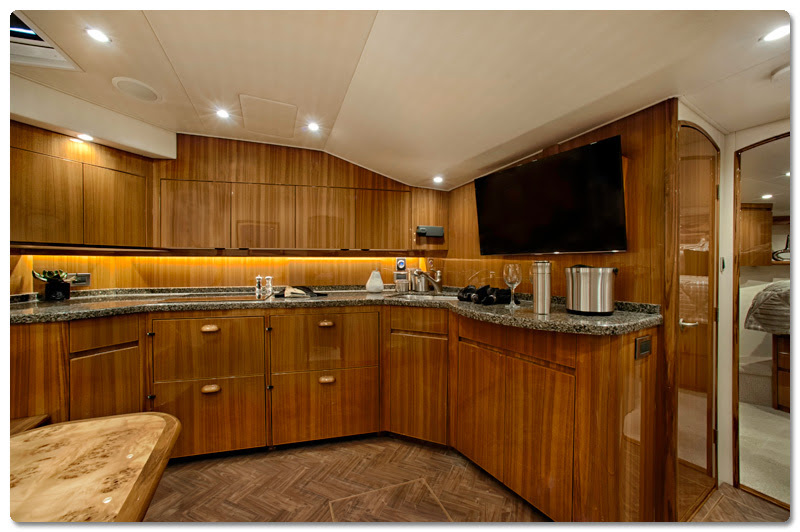 The boat runs strong on the popular resin infused Viking 52 Convertible hull, while incorporating a stylish three-sided fiberglass deckhouse, featuring a command bridge deck with helm and companion seating, plus U-shape lounge seating aft with a teak table. A molded fiberglass console to port includes a refrigerator with an ice maker. Overhead rod lockers are built into the fiberglass hardtop. A Palm Beach Towers‘ custom designed aluminum tuna tower adds the finishing touch. 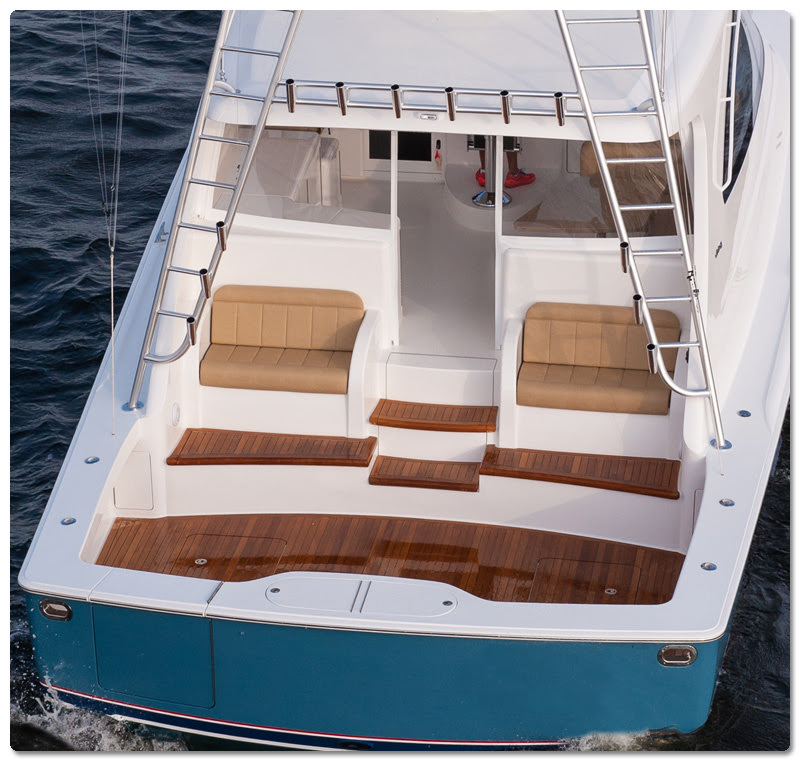 The 142 square-foot cockpit is a versatile work space for fishing and other water sport activities with a walk-through transom door and lift gate, recessed in deck fish box and stowage bins, a transom fish box, insulated coolers and twin mezzanine seating. 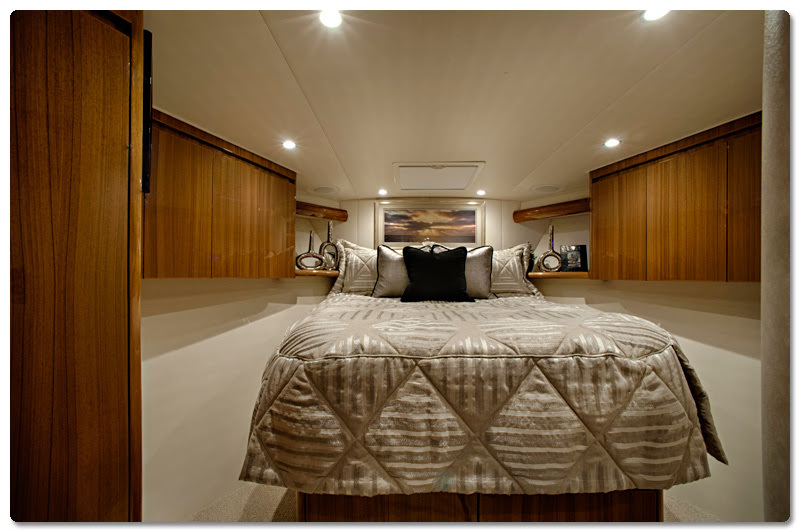 The air-conditioned salon and galley is inviting for overnight trips, as well as longer range cruising with a spacious master stateroom with a private head forward, and a layout featuring a second head plus one or two additional staterooms, and a laundry center. Twin MAN V12 1400 CRM diesels deliver upper 30 knot cruise speeds with a top end of more than 40 knots. 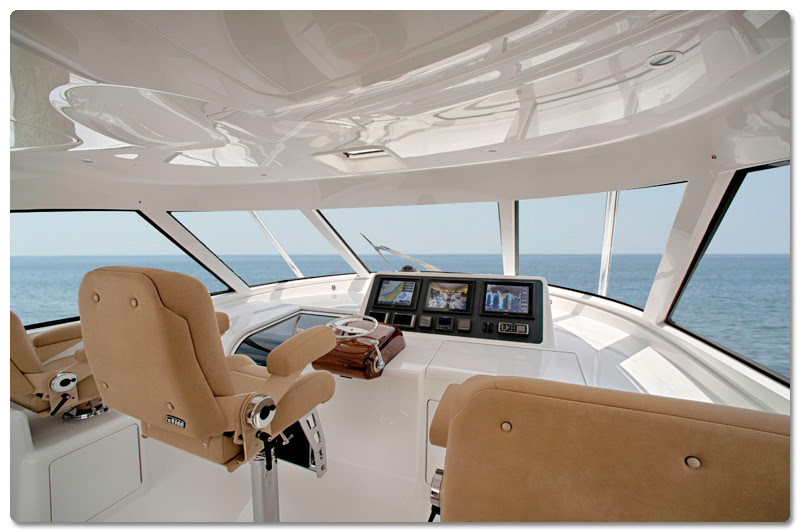 Come aboard for a Viking 52 ST virtual tour.